With much anticipation and a mild breeze in the air, we set off on our first trip of the day in search of the Marine Big5. We headed out to the very picturesque areas of Franskraal and Uilenkraalsmond on route to our sister company Marine Dynamics and their shark cage diving vessel, Slashfin. We stayed around their vessel in hope of seeing a Great White shark, one of the most majestic apex predators in the ocean. There were sharks in the area but unfortunately they never came close enough to the surface for us to get a clear picture, and so we moved on through to the De Clyde reef system. Here we picked up a piece of kelp, which is a vital part of the Dyer Island ecosystem as it protects many of the smaller species from the swell, and gives them a place to hide from the larger predators. The kelp was passed around the boat, with encouragement for the clients to try a piece of the leaf, but there were not many takers! We carried on the trip and headed to Pearly Beach, which is where 80% of the whales are spotted during the height of the season in September and October. 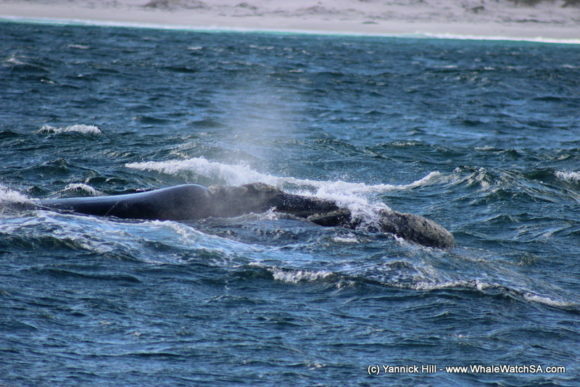 At 11am we managed to spot our first whale, a Southern Right! 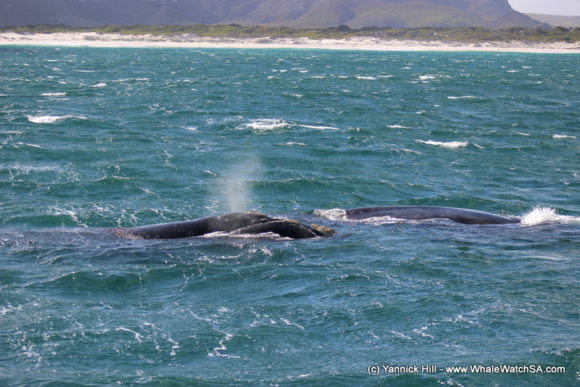 These whales have migrated from the sub Antarctic to our bay in order to mate and calf. These are baleen whales; which means they have baleen plates instead of teeth and will fast for the entirety of their stay in our bay, which can be for approximately 6 months. 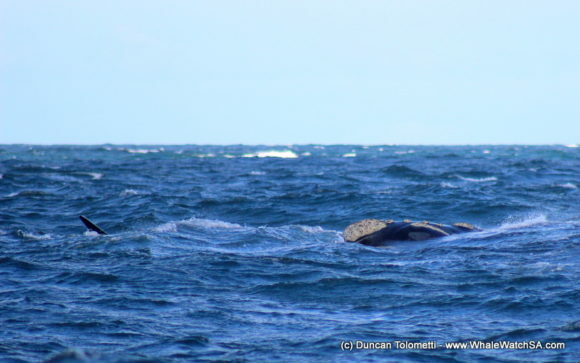 Whilst watching the whale, we got an unexpected bonus as a second Southern Right surfaced very close to the first, this was amazing and the clients were ecstatic! 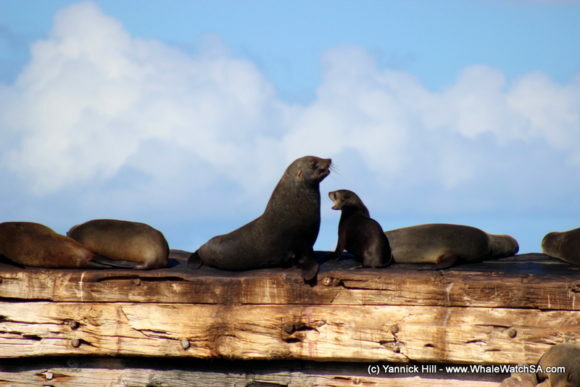 Having watched the whales for a respectful length of time we headed off in the direction of Dyer Island and Geyser Rock, home to up to 60,000 Cape Fur seals. On the way towards the Island we were fortunate to see a Shy Albatross gracefully riding the waves! 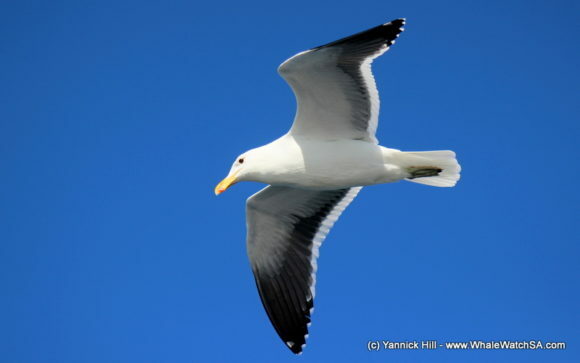 These birds come up to the area in the winter months and are a majestic sight, although for a bird, you will very rarely actually see them flap their wings as they mainly use the wind currents deflecting of the waves to maintain flight. 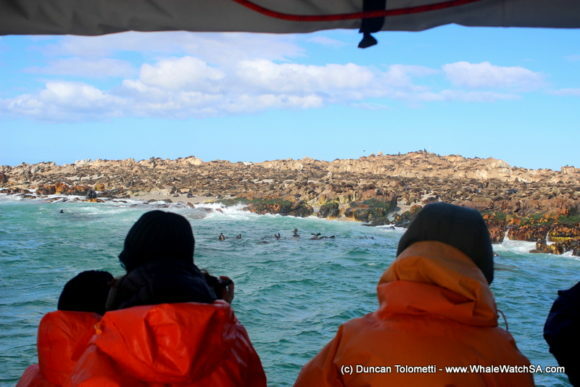 We arrived at Geyser Rock and took a cruise through shark alley, with the 60,000 Cape Fur seals on one side and then Dyer Island on the other, which is home to 4 different species of Cormorant. Having observed the seals going about their daily lives we turned and headed back to Kleinbaai harbour, after yet another memorable trip aboard Dream Catcher. 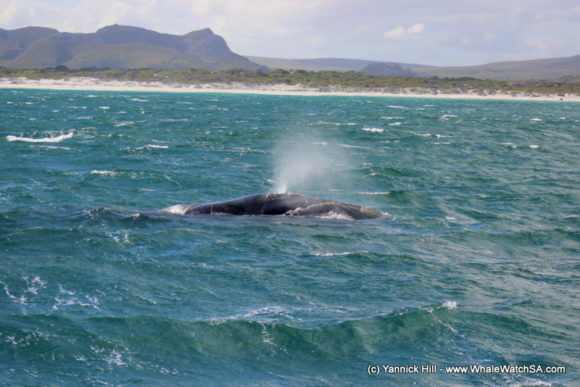 Having spotted Southern Right whales during our first trip in Pearly Beach, we began our second trip with a fun up-and-down trip straight to the same area. The clients very much enjoyed the ride but some of the crew may have got slightly wet! 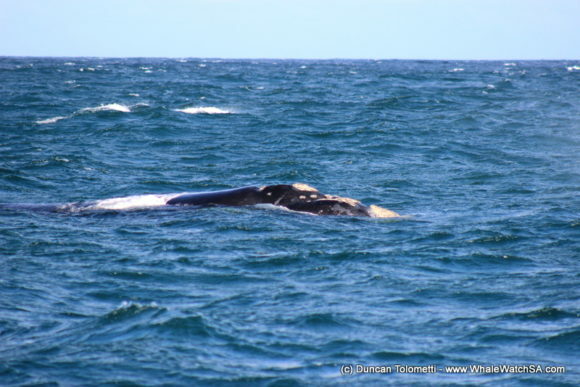 Having arrived in Pearly Beach we took our time to scan the area and we were rewarded with some different Southern Right whales at approximately 13.30. 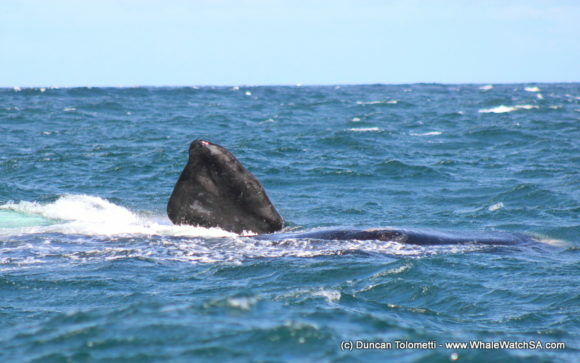 The clients were again ecstatic to see such a large and magnificent animal and we were rewarded as there were actually 3 Southern Right whales in close proximity. Having observed the whales it was clear that they were carrying out mating behaviour, their flippers and tail flukes breached the water on several occasions. We really were very lucky to see such an amazing spectacle. If the female does become pregnant, she will return to Pearly Beach next year to calf. We moved off from the Southern Right whales and headed to Shark Alley to see the Cape Fur seals and the beautiful seabirds that frequent the Dyer Island area. The seals were again very playful in the water, stretching their flippers high out of the water to help with thermoregulation. The clients were thoroughly enjoying the trip and we had one very special final moment at our sister companies boat, Slashfin. We saw a Great White shark! These animals can get up to 6m in length, and also have the ability to breach their entire body out of the water in an attempt to catch a seal. This was an amazing end to yet another fantastic trip through the waters of Southern Africa! Amazing experience! Such a great crew who were very helpful and attentive. Thank you for guiding us and showing us the ocean! Excellant excursion - The crew were very knowledgeable and looked after passengers. We loved Gary - Thank you.